Men across Canada, its that time of year again to get hairy! As November quickly approaches that means its time for “Movenber,” the world’s largest fundraising campaign for prostate cancer research. 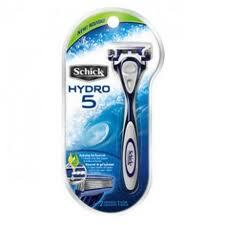 For 2010, Schick has signed on as an official partner of Movember, where men embark on this 30-day hair-a-thon that according to Movember guidelines they must start the month cleanly-shaven and start growing a moustache on November 1st. On their own or as part of a team, Mo Bros and Mo Sistas (women who support the moustache and raise funds and awareness for men’s health) can register to join the campaign or donate at www.movember.com. 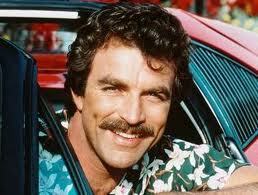 This year marks the fourth Movember campaign in Canada. In 2009, 39,958 Mo Bros and Sistas raised nearly $8 million for Prostate Cancer Canada. Get off to a clean start. No cheating – participants must start Movember 1st cleanly-shaven and grow their Mo for 30 days. Once Movember is over, it is time to shave your mug. Keep a stiff upper lip. Thirty days is a long time to grow a Mo. You may have some discomfort or irritation if it is your first time, and there may be periods of growth where you don’t look your best. Remember this is not a sprint, it’s a hair-a-thon, stay the course for a great cause. Mo Sistas: Embrace his face! He’s hairy and he’s scary but he’s doing it for a good cause. So whether you are a girlfriend, sister, mom or wife, support your Mo Bro. Raise funds, help him trim and best of all shave it off December 1st. Keep it Mo-fessional. Starting a new job or have a big new biz pitch in Movember? Not to worry. Having a Mo is a great ice-breaker for any occasion. Everyone from titans of industry and world leaders to artists and athletes have rocked the look with pride. Be the talk around the water cooler – tell everyone the reason for your Mo and offer ways they can support you and Prostate Cancer Canada. One-in-two men will be diagnosed with cancer in their lifetime. One-in-three women will be diagnosed. One-in six men will be diagnosed with prostate cancer in their lifetime. One new case occurs every 2.7 minutes and a man dies from prostate cancer every 19 minutes. Rates of prostate cancer in men are comparable to rates of breast cancer in women. The World Health Organization projects that in 2010 cancer will become the leading cause of death globally, surpassing heart disease and stroke. Schick has also created a special site where you can see what you’d look like with your “Mo,” check it out at www.SchickMoPic.ca for ways to personalize your Mo.